Don’t be alarmed! Sensory deprivation sounds scary, but it really isn’t. Try to imagine this: You enter a pool of water. It’s shallow. The water is not too hot and not too cold – it’s just right. You lie on your back and float effortlessly, without even trying to stay afloat. You feel the water surround you, and your muscles start to relax. You close your eyes. Deep breath in, deep breath out – finally a piece of solitude during the day. This guide will walk you through the history of floating, the benefits, and some tips and tricks for your time spent in the float room. Where Did Floatation Therapy Come From? Although humans have a long history of using isolation to alter consciousness, floatation therapy as we know it is a relatively new concept. First invented in the 1950’s by Dr. John C. Lilly, an M.D. with training as a psychoanalyst and a specialty in experimental neurophysiology, floating was first used as a way to study brain activity and the origins of consciousness. At the time, little was known about sensory deprivation and how it would affect the human psyche – Lilly was certainly navigating uncharted territories. The first sensory deprivation tank looked a lot different from the ones on the market today. Lilly developed a tank in which the floater was suspended upright, entirely underwater, head completely covered by an underwater breathing apparatus and mask, dangling from an air hose. This design effectively eliminated and controlled almost all major external stimuli (other people, light, sound, gravity, and temperature). The scientist made his second discovery: this environment furnished the most profound relaxation and rest that he has ever experienced in this life. It was far superior to a bed for purposes of recuperation from the stresses of the day’s work… He found that there were many, many states of consciousness, of being, between the usual wide awake consciousness of participating in an external reality and the unconscious state of deep sleep. He found that he could have voluntary control of these states: that he could have, if he wished, waking dreams, hallucinations; total events could take place in the inner realities that were so brilliant and so “real” they could possibly be mistaken for events in the outside world. In this unique environment, freed from the usual sources of stimulation, he discovered that his mind and his central nervous system functioned in ways to which he had not yet accustomed himself. Over the next 20 years, Lilly perfected the tank and continued to experiment with isolation techniques. Today, there are thousands of tanks in everyday use, with commercial float centers in more than a hundred cities around the world. Floatation therapy is now available in health spas, biofitness institutes, hospitals, exercise/recreation centers, beauty salons, by professional athletic teams, in corporations, and for “superlearning” courses at several universities. There are many theories about the mechanisms by which float rooms achieve their results, and today there is an explosion of research into that very question going on in university, hospital, and clinic laboratories around the world. There are 5 main theories as to why floating produces such amazing results. Each of these explanations reveal small pieces of a larger puzzle – for while they all provide their own unique benefits, it is certainly the combination of all 5 theories that make floatation therapy so restorative and therapeutic. Gravity is a funny thing – we notice it all the time in our day-to-day life, but we are rarely aware of the effects it has on our body. In reality, simply standing upright causes great gravitational pressure to be exerted on the soles of our feet and our spines. Thousands of pounds of pressure are focused on small parts of our body, and over time this can lead to stress and structural problems in our hips, lower back, neck, and abdomen. Floating on over 800lbs of Epsom salt completely supports each body part independently, thereby reducing the gravitational muscle tension we feel each day. Research has shown that reducing the effects of gravity allows the body to detect minute sensations. In the float room you can become intensely aware of knots, chronic muscular tension, and skeletal strain. In addition to muscle relaxation and increased body awareness, reducing the effects of gravity also has a huge impact on our circulatory system. Blood is able to circulate more freely and our heart works more efficiently, therefore blood pressure drops and injured areas receive more blood flow. Beta These are known as “waking rhythms”. The brain is focusing on the world outside itself and dealing with concrete, specific problems. Alpha Often present when the brain is alert but unfocused, alpha brain waves are usually generated when your eyes are closed and are often associated with feelings of relaxation and calmness. Theta The theta state is accompanied by unexpected, unpredictable, dreamlike mental images. This state usually occurs as we drift from conscious drowsiness into sleep. When the brain is in a theta state, the individual often has access to unconscious material, intense memories, free association and creative inspiration. Delta These slow frequency waves are only produced when people are deeply asleep or unconscious. While floating, external stimuli is minimized (and virtually non-existent). This allows the floater to quickly enter the theta brain wave state and stay there. This state has been most closely related to activities such as meditation and hypnosis. Research has shown that individuals in the theta state are more calm, aware, mindful, and creative. There are countless stories of moments of creativity and inspiration while in the float room, and many people report improvements in memory and attention. Left Brain In most people, the left half of the brain is dominant. This side seems to think analytically, sequentially, logically, and with an orientation in time. Right Brain In contrast, the right brain tends to process information in mostly nonverbal, simultaneous, intuitive, nonlinear, timeless, imaginistic manner. Our culture completely reinforces left-brain thinking from a very early age. Our educational system has taught us to value left-brain thinking over right-brain thinking, and by college left-hemisphere dominance is firmly established. Unfortunately, it has been shown that in order to use our analytical skills effectively we need our intuitive, large-scale, synthesis-making abilities of our right-hemisphere. Research into the brain waves of the two hemispheres of floaters indicates that floating increases right-brain function. How does it do this you ask? When you enter the float room, all external stimuli is shut off. Usually the right-brain is drowned out and overpowered by the noisy chatter of the verbal/analytical hemisphere. Floating works by plunging us into literal and figurative darkness – allowing us access to the right brain. While tuning into your right brain is beneficial, you shouldn’t think of it as being ‘better than’ your left brain. The reality is, we need both hemispheres. What is really being accomplished in the float room is synchronization and balancing of the two hemispheres. Synchronization of brain waves (or hemispheric harmony) is one explanation for the great increase in productivity, performance, and efficiency, and the generalized feelings of competence, confidence, and wholeness experienced by floaters. Until recently, scientists have believed that the brain is similar to a computer. It has now been shown that we should think of it more as an endocrine organ. The brain secretes a multitude of hormones and neurotransmitters – responsible for everything from sleep, anxiety, aggressiveness, concentration, learning, happiness, confidence, and so on. Tests on the benefits of flotation therapy on neurochemicals have demonstrated that floating has a significant effect on the production of these natural substances. For example, research has found that floatation therapy lowers the levels of norepinephrine, epinephrine (also known as adrenaline), cortisol, and ACTH. High levels of these chemicals have been linked to a number of ailments; they depress the body’s immune system, increase chances of depression, and cause fat to be released into the blood and subsequently deposited in the heart (thus contributing to heart disease). Through the process of biochemical self-regulation, floaters can now alter their brain chemistry to produce more creative, happy, and productive mind states. There is an intimate connection between consciousness and brain chemistry and it is now apparent that the floatation tank is an ideal environment and tool to explore this relationship and lower harmful biochemicals. The final theory as to why floating is so beneficial for our minds and bodies introduces the concept of biofeedback. Biofeedback is a technique you can use to learn to control your body’s functions, such as your heart rate. With traditional biofeedback, the individual is connected to electrical sensors that help receive information (feedback) about your body (bio). By focusing on a single, subtle change in the body, which is being amplified by the machine, you are able to shut off your awareness of the external environment. As numerous floaters have discovered, the floatation room is a natural biofeedback machine. The faint body signals that you would ordinarily ignore, or which are drowned out, become powerful presences when you are in the float room. And once these signals are known, it becomes as easy as to control and manipulate them as it would be for someone trained on a biofeedback machine. 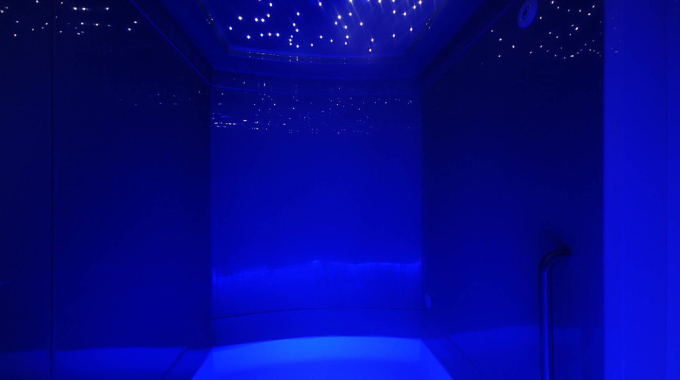 Research suggests that conscious control over physical processes is gained more easily in floatation because intense awareness of internal signals is combined with the extraordinarily deep state of relaxation provided by the float room. All that remains is for the floated to become aware of whatever internal state he wishes to control – blood pressure, release of endorphines, or muscular tension, for example – to monitor it through the intensified float awareness, and to assume control! 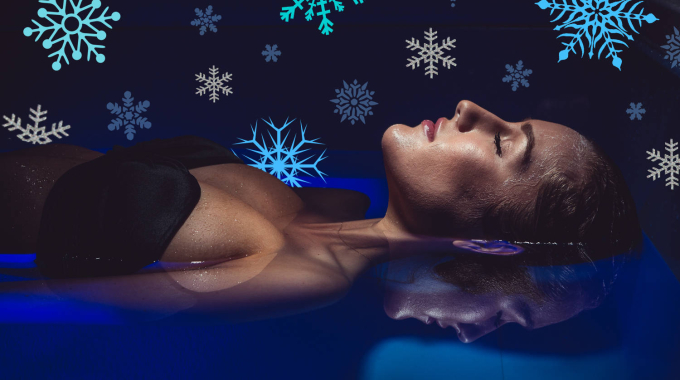 Floating for Deep Relaxation A major reason for the floatation room’s extraordinary range of effects is that, while floating, our bodies become more deeply relaxed than is possible in every day life, and this happens effortlessly. Once you have entered this state of profound relaxation, and learned to reenter it and maintain it, you will find that it is an ideal state in which to utilize any of the wide range of techniques for behaviour or attitude change: self-hypnosis, autosuggestion, visualization, free-owing imagery, self-healing, prayer, meditation, and so on. Floating for Relief of Pain Whether it be chronic pain, a reoccurring injury, or a one-time strain, floatation therapy is the perfect environment to escape an uncomfortable sensations you might be feeling. Researchers believe that floating is good for the relief of pain because your body, once in a relaxed state, releases biochemicals called endorphins. These endorphins are known as nature’s “natural pain killers”. By engaging in relaxing activities you are in control over the regulation of certain powerful and pleasurable chemicals in the brain. Luckily, evidence indicates that the float room is the most direct, rapid, efficient, foolproof, and effective way to regulate the flow of these chemicals. Floating for Increased Athletic Performance Some of the first professional sports teams to utilize floatation therapy include the Philadelphia Eagles, the Philadelphia Phillies and the Dallas Cowboys. In addition to these major sport franchises, various Olympic athletes such as Carl Lewis, Jade Johnson, and Tasha Danvers have all used floatation therapy to improve their athletic performance. There are a number of reasons floating is so great for athletes. First, oating increases physical relaxation (as you’ve probably heard many times by now) which leads to improved performance, greater stamina, speed, strength, and coordination. Secondly, because you are so intently aware of your body, floating can help prevent overtraining, muscle imbalances, and muscular tension. If you have any injuries, floating can help alleviate any pain and enhance the body’s ability to recover from tough training sessions or peak output events (races, competitions, tournaments). Finally, the float room provides the perfect space for mental imagery and visualization. Athletes can improve their coordination, confidence, concentration, calmness and poise by using guided imagery rehearsal. Floating for Habits and Addictions In a series of controlled studies done by Dr. Peter Suedfeld, it was found that individuals who underwent sensory deprivation were smoking almost 40 percent less than the other subjects. Apparently, it also has a profound “maintenance effect”, as a follow up study revealed that those who had experienced floatation therapy were still smoking far less than those who had not. 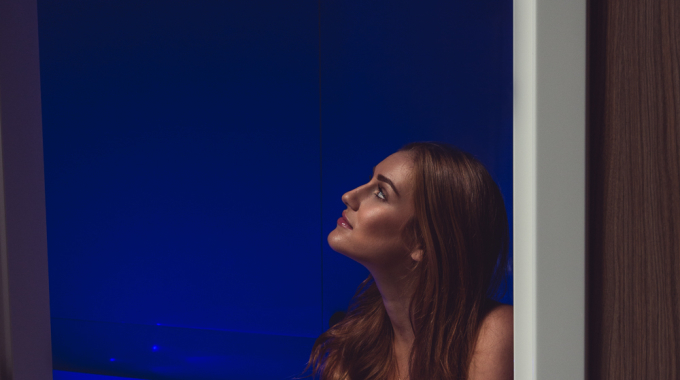 Similar studies on weight loss and alcohol reduction have found the same results – long lasting stress relief and increased awareness experienced in the float room seem to often result in the reduction of addictive behavior. Floating for Weight Loss As mentioned above, the floatation therapy has been show to drastically increase weight loss. In a study by Dr. Rob Borrie from the University of British Columbia, it was found that subjects who underwent the sensory deprivation session and received weight-reduction messages were able to lose an average of about twelve pound over the next six months. After the float session, subjects continued to lose weight steadily, month after month. Some subjects lost over sixty pounds within two months! The first step to changing a behavior is to simply float. Your first float will relax you and get you to a place of deep self-awareness. Once you have found this relaxation, focus on your body, and become aware of the effect overeating has on it. Are you tired? Achy? Do you have sore feet? Consider how carrying around those extra pounds uses energy, and puts stress on every part of your body. The more intense your physical awareness is, the more intense your motivation will be to do something about it. At some point, your attention will turn inward. How do you feel? What have you been feeling lately? Does the fact that you are overweight make you feel sad in certain situations? angry? guilty? At this point your goal is just to be completely aware of your emotional and mental state. Once you are aware of the connection between your emotions and your eating you can start to analyze and understand the problem. Search for its causes, effects, and triggers. Become extremely aware of your motivation and expectations. Now that you have developed an awareness of the causes and nature of your problem, you can start to set goals. The more specific you can set them the more likely you are to attain them. Make a clear, specific plan for your life and visualize yourself in certain situations that seem to trigger your overeating (stressful day at work, feeling lonely or anxious, family gatherings, eating or drinking buddies, etc). This kind of self exploration is essential for changing your behavior. Give it a go! Floating for Depression, Anxiety, and Fear One of the most consistent effects of floatation therapy is a dramatic decrease in anxiety, both as subjectively perceived by the floater and as measured against physiological indicators (blood pressure, pulse, and levels of adrenaline). Numerous studies have established conclusively that depression is associated with higher levels of cortisol and ACTH – two biochemicals that floating is proven to reduce. Although no long term studies have been done on the specific effect of floating on depression, it seems likely that the dramatic and long-term decreases in pituitary-adrenal activity, that floating enables, can significantly help those suffering from anxiety and depression. Superlearning in the Float Room In one of the most ingenious studies about floating, Dr. Thomas E. Taylor set out to explore how floating affects learning ability. In summary, he found that the experimental group did better in all three levels of learning than the control group -memorization, application, and synthesis thinking. In analyzing the EEG results, Dr. Taylor found that floaters produced significantly greater amounts of theta waves. He discovered that at the moment of comprehending, when all the concepts are brought together in a ash of insight (also called a “Eureka event”), there are sudden changes in the brain waves recorded on the EEG. This moment of synthesis takes place in the theta area – an area that the float room is excellent for inducing. If you find any lecture tapes or learning material you’d like to review while floating, don’t hesitate to bring them in! Why are Epsom salts so good for me? What few people realize is that our magnesium levels have dropped by half in the last century due to changes in agriculture and diet. Most people don’t even know they’re deficient in it! Soaking in a float room saturated with Epsom salt is one of the easiest ways to get the magnesium boost you’ve been searching for! The floaters and researchers we’ve talked to all agree: for the first few floats don’t set any goals. Science has shown that novice floaters need to float four or five times before they really begin to get in touch. Allow your subconscious to choose what it wants to deal with, and let your body find its own path to deep relaxation. If you have no expectations, you will never be disappointed. Preparation Remember to eat a light meal beforehand, avoid caffeine and shaving, and use the bathroom before floating. HINT: Our NeuroSpa chairs are great if you feel like you need to get in “the zone” before your float. Set up your float environment Make sure a towel is easily accessible from within the tank because you may get salt in your eyes. There’s nothing worse than scratching an annoying itch on your face only to get burning salt water in your eyes! Our float rooms all include earplugs and a floatation device – which are both completely optional but can make your float much more comfortable. Breath Awareness Focusing on your breathing can have a profound effect on your ability to let go while in the float room. Try relaxing your abdominal muscles so that when you inhale, your belly expands and rises. By breathing fully, your flight-or-fight reaction is lowered and your autonomic nervous system sends relaxing signals to your brain. Another handy trick is to focus your attention on your breath as it passes in and out of your nose. Should thoughts come into your awareness, don’t resist them but allow then to pass, and then return all your attention to your breathing. Relax. Heal. Let go… Call us at 604 559 3999 or book on-line and schedule a session today in Vancouver! Banquet, J.P. EEG and Meditation. Journal of Electroencephalography and Clinical Neurophysiology. Vol 35, pp. 449-458 1975. Benson, Herbert The Relaxation Response. New York: William Morrow, 1975. Fine, Thomas H. REST in the treatment of Essential Hypertension. Paper delivered at First International Conference on REST and Self-Regulation, Denver, Colorado, March 17, 1983. Hutchinson, Michael The Book of Floating. Nevada City, California: Gateway Books and Tapes, 2003. Janda, Louis REST in the Treatment of Obesity. Paper delivered at the First International Conference on REST and Self-Regulation, Denver, Colorado, March 17, 1983.